Check availability and complete the booking form below to make your reservation. Spacious two bedroom private apartment for 1 to 4 people with stunning views. A sofa bed is also available in the double room for groups of 5. Organic menu with self catering facilities, fresh bed linen and clean towels. Days marked with are unavailable. Home cooked evening meals, a stocked kitchen, shopping trips, transfers to and from the airport or hotels of your choice, numerous excursions, car hire. For larger groups of up to 7 people, we can deploy two luxury camp beds if required. Reservations for Melanya are for the complete apartment. Self catering €35 pp/night - Breakfast (self serve) €4pp - Freshly prepared lunches and evening meals on request. On receipt of your reservation we will send your welcome pack and further information to make your stay at Melanya the best it can be. I was in desperate need of a peaceful retreat and this place delivered just that, in fact it was beyond my imagination!" 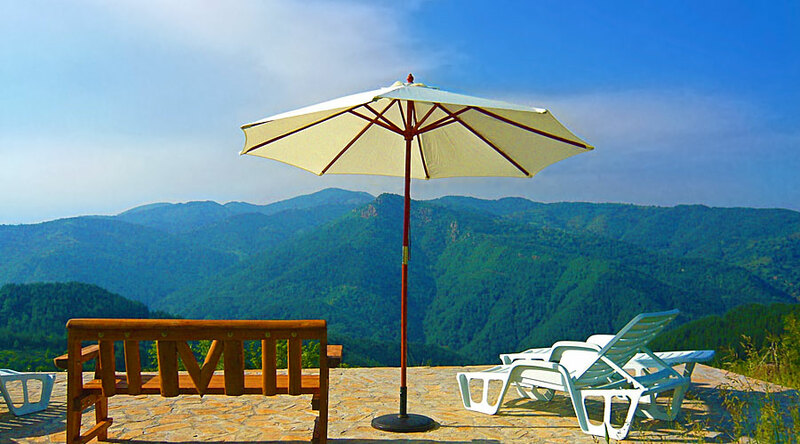 Find out more about Melanya Mountain Retreat. Connect with us or simply drop us an email. © Melanya. All rights reserved.